Lasallians from across the Region gathered and attended the Los Angeles Religious Education Congress from March 13 – 16, 2014, in Anaheim, CA, which also served as an opportunity for Brothers in various stages of initial formation to come together for a unique Brothers in Initial Formation Spring Workshop. The De La Salle Brothers had a vocations exhibit booth at the event, which promoted the Brothers, Lasallian education, and the Lasallian Volunteers. Directly across from their booth was the Saint Mary’s Press booth, which contributed to the wide scope of Lasallian attendance. Lasallians at the Congress consisted of Brothers, current Lasallian Volunteers and alumni, and lay Lasallians. This combination of Lasallian presence at the LA Congress was a chance to promote vocations and highlight the Lasallian world, including distribution of posters of St. John Baptist de La Salle, the patron saint of teachers. The 15 Brothers in initial formation attended the LA Congress each day, accompanied by 12 members of the Regional Vocation Formation Committee (RVFC) who also held a meeting March 16 – 17. With a theme of Hope: A World Afire!, the more than 40,000 total LA Congress participants attended various sessions and listened to national and international speakers address topics related to religious education and the church at large. 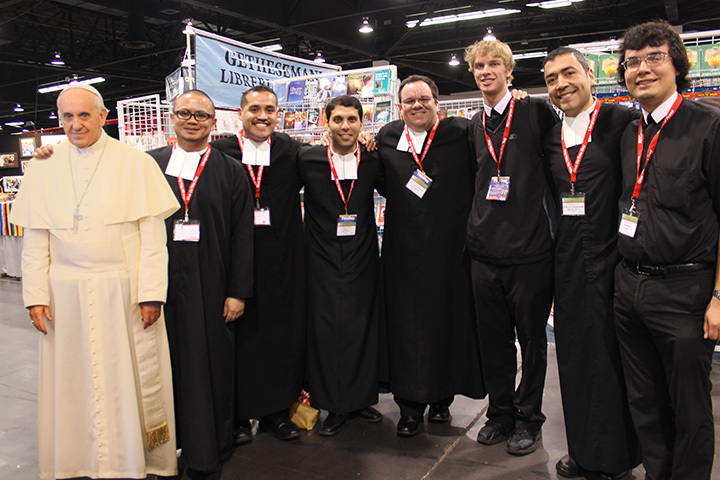 Sponsored by the Archdiocese of Los Angeles Office of Religious Education, the workshops and masses were held in multiple languages and included numerous cultural influences. 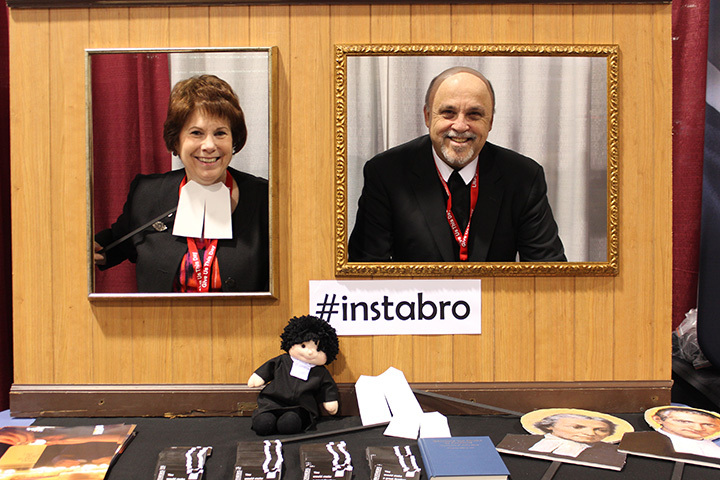 The exhibit area hosted hundreds of exhibit booths, each showcasing resources available for the attendees and their ministries. The Brothers in initial formation typically gather twice a year. The time spent together at these types of gatherings offers ample opportunities for the Brothers to connect on a Regional level and get to know each other better, fostering communication in a casual setting, and in turn building strong bonds.